Chronic obstructive pulmonary disease (COPD) is a multifactorial chronic inflammatory disease of the respiratory system. A key phenomenon of COPD pathogenesis is inflammation. The goal of the present study was to investigate the association of COPD with alleles and genotypes of the genes that encode chemokines and chemokine receptors (CCL11, CX3CR1, CCR5, CCL5, CXCL12, CCL2, and CCL17), adhesion molecules (PECAM1 and ICAM1), and serum amyloid A1 (SAA1). It was found that COPD was associated with the C allele and the TC genotype of SAA1 (rs1136743C>T) (P = 0.0001, OR = 1.58 and P = 0.00001, OR = 2.15, respectively); this association was confirmed in the subgroups differentiated by smoking status. Markers of COPD risk were also the CG genotype of PECAM1 (rs281865545G>C) (P = 0.028, OR = 1.36) and the GG genotype of ICAM1 (rs5498A>G), which were significantly associated with the disease in smokers (P = 0.005, OR = 1.66). The AA genotype of CCL2 (rs1024611A>G) was associated with the disease in nonsmokers (P = 0.037, OR = 1.82). The GG genotype of PECAM1 (rs281865545G>C) and the AA genotype of CX3CR1 (rs3732378A>G) were associated with higher vital capacity (P = 0.014 and P = 0.04, respectively). Subjects with the GG genotype of ICAM1 (rs5498A>G) exhibited lower forced expiration volume in 1 s and lower forced vital capacity (P = 0.025 and P = 0.029, respectively). This study was supported in part by the Russian Foundation for Basic Research (project no. 18-015-00050). 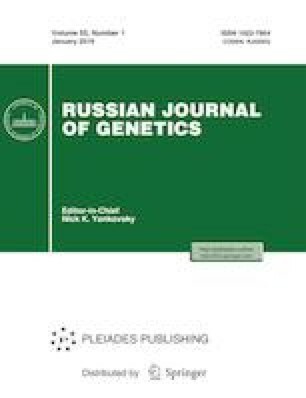 The DNA material was provided by the Collection of Human Biological Materials (Institute of Biochemistry and Genetics), supported by the Bioresource Collection Program of the Russian Federal Agency for Scientific Organizations (agreement no. 007-030164/2). Experiments were performed using the equipment of the “Biomika” Collective Use Center and the “Kodink” Group of the Institute of Biochemistry and Genetics. Statement of compliance with standards of research involving humans as subjects. The study was approved by the Ethics Committee of the Institute of Biochemistry and Genetics. All participants gave their informed consent to the use of their biological materials in the proposed experiments.